WHITTIER >> Prosecutors declined to file charges Wednesday against an autistic Whittier man arrested this week on suspicion of kidnapping after he allegedly tried to grab a young girl outside an elementary school, authorities said. After reviewing the evidence, prosecutors declined to file a criminal case against David Brooks, 50, of Whittier, in connection with Monday’s incident outside Ocean View Elementary School, 14359 E. Second Street, Los Angeles County District Attorney’s Office spokeswoman Sarah Ardalani said. The decision to declined the case was made, “in the interest of justice,” she said. Whittier police jailed Brooks on suspicion of attempted kidnapping Monday afternoon after he approached and tried to grab a 12-year-old girl, Whittier police Cpl. Glenn Hedgpeth said at the time. The frightened girl ran onto the school to seek help. Neighbors and family members immediately came forward to say that Brooks was severely mentally disabled, but kind, gentle and peaceful, and the incident must be a misunderstanding. Police declined to comment on Brook’s mental state, citing medical privacy laws. Officials booked Brooks into jail and set bail at $1 million pending an initial court appearance, scheduled for Wednesday, Los Angeles County booking records show. Brooks’ brother Bill Brooks said David is severely autistic and has lived in the same East Whittier home for his entire life. “I don’t feel by my brother had the physical strength or the wherewithal to commit the type of crime he was accused of,” the brother said. He pointed out that David Brooks has never been in trouble with the police before. And when coaches at the school told him to stay there and wait for police, he complied, making no effort to flee. Once family members arrived at the police station Wednesday night and explained David Brook’s condition, officials appeared to be sympathetic, but informed them that he would have to remain in custody pending his court appearance, unless the $1 million bail was posted. Bill Brooks said he wished the police had been more understanding of his brother’s condition from the beginning, especially since the family has informed the police of his condition in the past as a precaution. And Brooks said the $1 million bail amount seemed excessive, under the circumstances. “ He has no drivers license, no ability to drive. He doesn’t have the wherewithal to flee. He doesn’t have a passport,” the brother said. But Bill Brooks also said he was grateful to Whittier police officials for their consideration. “He’s a picky eater,” the brother said. Police officers picked up food from Subway Sandwiches and other familiar foods David Brooks was willing to eat. Bill Brooks said he sympathized with the young girl, as she was likely “traumatized” by the incident. But Brooks said he feels the incident could be a learning experience. “I think that the Whittier Police Department needs to review their policies regarding the way they deal with disabled people,” he said. David Brooks’ father looked after him until his death in 2001, at which time the family obtained caretakers to look after David. The organization Community Advocates for Peoples’ Choice, or CAPC, initially provided a caretaker seven days a week, Bill Brooks said. But the caretaker services were reduced to five days a week following a change in labor laws related to “domestic workers” in 2014. Following this weeks incident, the agency plans to again provide David Brooks with a caretaker seven days a week, he said. According to county booking records, David Brooks was released from custody shortly after noon Wednesday. PASADENA >> Two young Pasadena women escaped from an armed kidnapper late Saturday, including one who broke her ankle leaping from his truck as it entered the 210 Freeway, authorities said. The would-be kidnapper remained at-large following the attempted abduction, which took place about 10:20 p.m. at Fair Oaks Avenue and Montana Street, Pasadena police Lt. John Mercado said. The suspect approached the two victims, both young Pasadena women in their late-teens, and offered them a ride across town, the lieutenant said. The victim agreed and got into his pickup truck. “They realized, as they went in the opposite direction of where they wanted to go, he was not going to take them to their destination,” Mercado said. 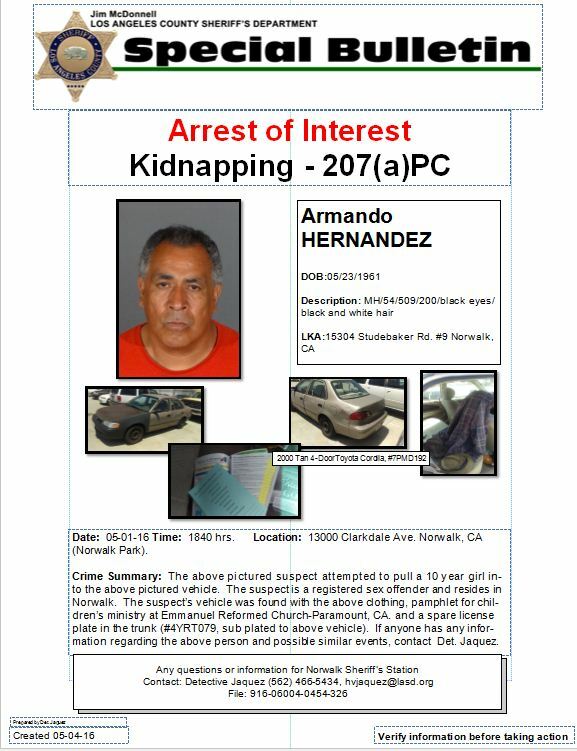 One of the young women, who was riding as a front passenger, jumped from the car as it entered the 210 Freeway from Mountain Avenue to escape her captor, he said. She suffered an apparent broken ankle. But after the truck reached Los Angeles, the second victim managed to escape the gunman as well and flee. She was taken to a hospital for examination after complaining of pain to her body, but it was not clear exactly how she was injured. 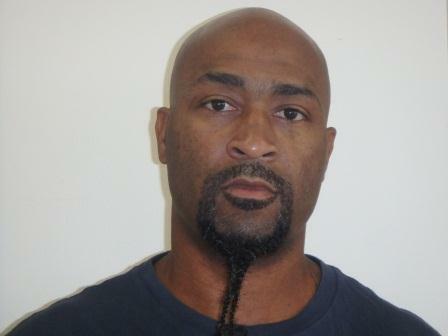 Police described the kidnapper as a black man in his 20s, clean-shaven, of medium complexion. He drove a light-colored pickup truck with a rear seat and was armed with a black, semi-automatic handgun. It was not clear Sunday what the kidnappers ultimate intentions were, had his victims not escaped. MONTEBELLO >> A car thief stole a minivan with a 1-year-old boy inside of it from a Montebello recycling center Thursday afternoon before being found unharmed, along with the abandoned vehicle, four hours later in Pico Rivera, authorities said. The theft and possibly unintentional kidnapping took place about 3 p.m. at S.A. Recycling, 1545 Gage Road, Montebello police officials said. “The child was found inside (the minivan) safe and unharmed and is at a local hospital being looked at,” police said in a written statement. Authorities issued an Amber Alert following the initial carjacking, Montebello police Lt. Michael Bergman. “The suspect approached the parked vehicle, while three children sat in the car. Their mother stepped away approximately 10 feet and was going to recycle some items,” according to a police statement. “The suspect approached the vehicle, ordered two girls — 6- and 4-year-olds out of the car,” the statement continued. But the woman’s 1-year-old son remained in the minivan. The thief drove off in the minivan, which had the keys still in the ignition, police said. “The mother screamed that her baby was in the car, however the suspect fled with the vehicle out of the parking lot and southbound on Gage Road,” according to the statement. A witness who had seen the Amber Alert spotted the stolen minivan shortly before 7 p.m. in the parking lot of a McDonald’s restaurant, 9333 W. Slauson Ave. in Pico Rivera, officials said. The carjacker remained at large, officials said. He was described as a Latino man, about 30 years, with spiked hair. He spoke Spanish. WHITTIER >> Police are seeking a Whittier woman they say fled with her 1-year-old son as child services workers tried to serve an order to remove the child from her custody Thursday morning, officials said. The boy was found safe at a relatives home Thursday night, however the mother remained at large, Whittier police Lt. Bryan Ellis said. Martha Martinez, 26, fled from the 12800 block of Foxley Drive with her 1-year-old son about 9:45 a.m. as officials from the County of Los Angeles Department of Children and Family Services arrived to serve a removal order, police officials said in a written statement. “During the contact, the mother fled the location on foot with the child,” according to the police statement. Officers searched the area for hours, with help from a bloodhound, but did not find the mother and child. After reaching out to the public for help, the boy was found safe at a relative’s home Thursday night, Ellis said. Martha Martinez is Latina, 5 feet 4 inches tall and 120 pounds, police said. She was last seen wearing a tank top, blue jeans and yellow boots. 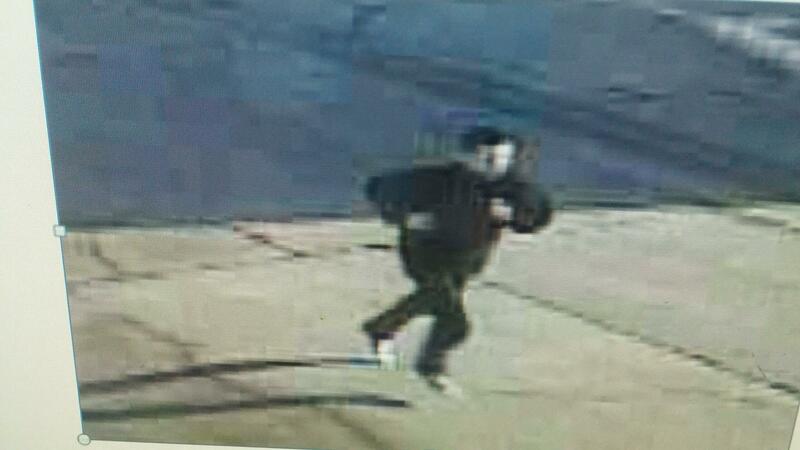 Anyone with information is asked to contact Whittier police at 562-567-9240. MONTEBELLO >> Police arrested a transient Wednesday they believe kidnapped and carjacked a 19-year-old Azusa woman at knifepoint the day before. Police, aided by a K-9, found and arrested Omar Alfaro Juarez, 23, about 7:40 a.m. in the 1300 block of South Montebello Boulevard, according to Montebello police officials and Los Angeles County booking records. He’s accused of kidnapping, carjacking and assault with a deadly weapon in connection with a series of crimes, unfolding about 2 a.m. Tuesday at Bluff Road and Whittier Boulevard, Montebello police officials said in a written statement. The woman had stopped her car in the area to rest and wait for a friend while driving home and fell asleep with car unlocked, police said. “She was later awakened when she felt something on her neck and realized that a male was in her passenger seat holding a knife to her neck,” according to the statement. Juarez allegedly forced the woman over to the passenger seat and drove her around for several hours, forcing her to remove $20 from an ATM at Beach Street and Greenwood Avenue, Montebello police Detective Alfred Martinez said, officials said. The woman reported seeing a possible second suspect at the convenience store, though police were still seeking that man and trying to determine whether he was involved in the crime, Martinez said. The woman was freed about six hours later when a parking enforcement officer called police to report what they thought to be domestic violence in the 1700 block of Bluff Road, Martinez said. Juarez fled when officers arrived and was not found. 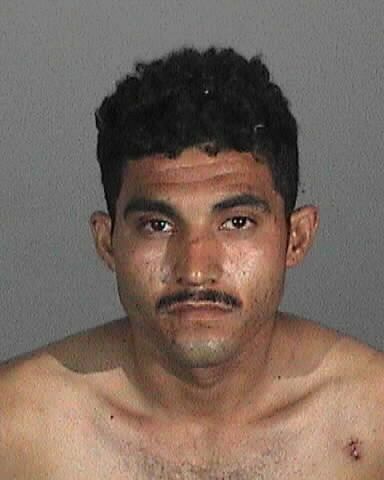 Detectives later identified Juarez as the suspect and began surveillance in the area of Montebello Boulevard and Elm Street, where he was known to frequent. They spotted Juarez Wednesday afternoon. “Juarez refused to surrender and was apprehended by K-9 Cody,” the police statement says. Vernon and Monterey Park police assisted in the arrest, along with a Los Angeles County Sheriff’s Department helicopter. The woman suffered a superficial cut to her neck, but no serious injuries, Martinez said. Juarez was being held in lieu of $100,000 bail pending his arraignment hearing, scheduled Friday in Los Angeles Superior Court. PHOTO of suspect Omar Juarez courtesy of the Montebello Police Department.